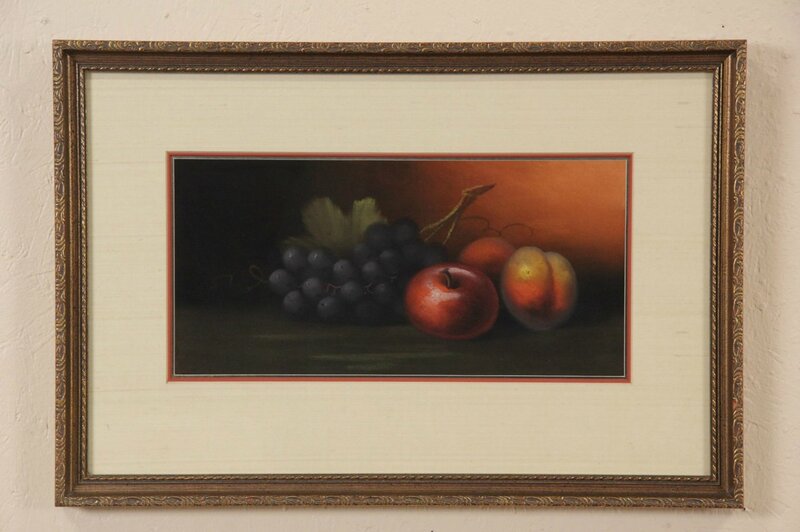 An original chalk or pastel of a still life with fruit dates from about 1900, and was recently given a new frame and triple linen and gold mat at a San Diego gallery. Colors are gorgeous on this antique work of art. Overall dimensions are 23 1/2" wide, 16" tall and 1" deep.